At Deki we believe that it is imperative that our corporate practices promote sustainability in every sense of the word. Our dedication toward that goal is shaped by our Corporate Social Responsibility (CSR) strategy. Using our CSR policy as the guiding principle, we strive to continuously improve our effort to be a responsible steward of the environment while conducting our commercial mission with transparent corporate governance, fair and ethical labour practices, and a conscientious corporate citizen within the community. Encouraging and supporting our suppliers to adopt responsible business policies and business ethics. Encouraging our employees to serve communities by volunteering and by sharing their skills and expertise. Our CSR activities are funded through both the Shashi Kiran Charitable Trust – a trust created in loving memory of Deki’s co-founder Mrs. Shashi Kumar - and the Company. Akhil Bharatiya Ashram : Deki continues its ‘Empowerment of Women’ initiative at the Akhil Bharatiya Ashram in Dehradun. After a successful pilot of enabling some of the Ashram girls to obtain vocational training and subsequent employment, we have now offered the current 12th graders all tuition and fees if they can either gain admission in a bachelor’s program at a local college or enroll in a polytechnic for a vocational program. We are also pursuing a renewal of English-speaking lessons for all interested students. As was proposed in our Annual Report, we have successfully grown our community-based CSR activities by establishing ties with two NGOs in the NCR. Gyan Shakti Vidyalaya is an NGO that provides no-cost supplementary education to children from impoverished and disadvantaged families residing in the NOIDA area. Deki financed and equipped a Computer Learning Lab with 7 desktop computers and arranged for making Gyan Shakti’s existing instructional program more intensive. We are actively working with the NGO’s administration toward expanding the curriculum to improving students’ facility with English writing and numerical skills. The program providing computer instruction is operational. Nai Disha is an NGO that operates a school in the Vasant Kunj area that provides no-cost supplementary and remedial primary and secondary education as well as training in English-speaking and in the use of personal computers to children of slum-dwellers and those employed in the informal sector. Deki intends to support Nai Disha via financial contribution, donation of computer equipment, assistance with curricula development, and organizational improvement. In addition we are working to set up sewing room with 15 sewing machines to start a skill-development center for the students’ mothers and older siblings at the school’s location. Deki’s corporate governance and employee-related practices have always been rooted in mutual respect and transparency. We are strengthening our efforts to collect and report metrics associated with labour practices, personal and environmental safety measures, and resource conservation. In addition to holding information sessions to create awareness with respect CSR, Deki is actively encouraging and fostering volunteerism among its ranks. 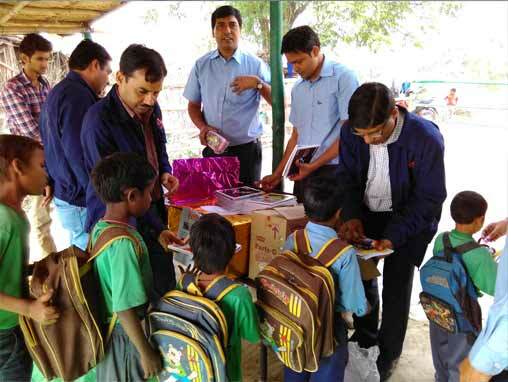 Last Diwali we invited the company’s employees to donate gifts/toys which were then collected and distributed among children of NOIDA-area slum dwellers. This elicited a generous response from employees and has set a precedent for future staff involvement and volunteerism. All field-work and site-based work related to our CSR activities with the two NGOs involved Deki staff and this has led to greater employee participation and sensitization. Deki helped Shri Krishna Investments Pvt. 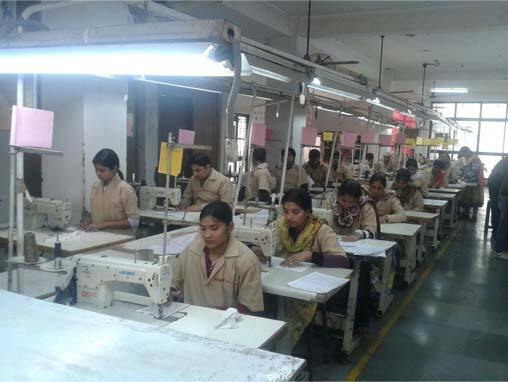 Ltd for setting up Stitching Skill Development Centre at SKI plant, NOIDA in association of IL&FS.